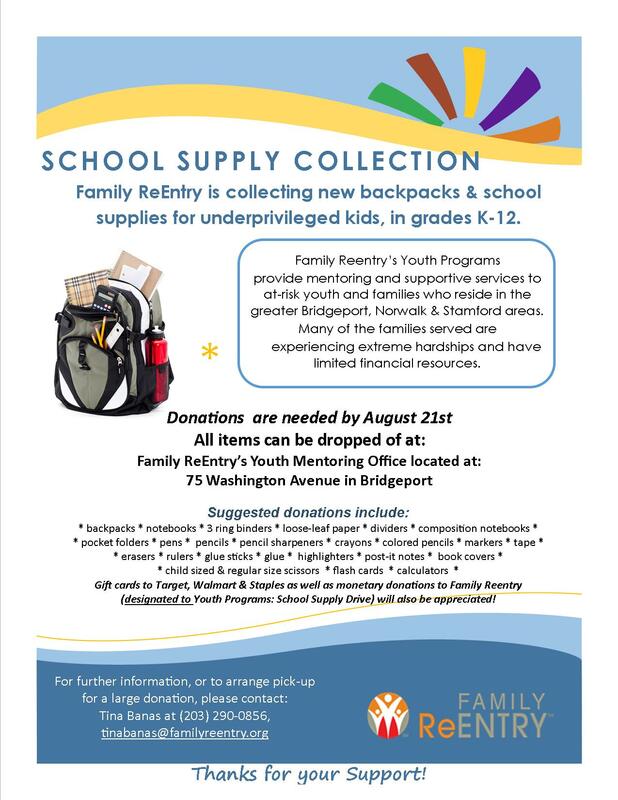 Family ReEntry Youth is currently collecting donations for our Annual Back to School Drive for children & youth involved with our programs. 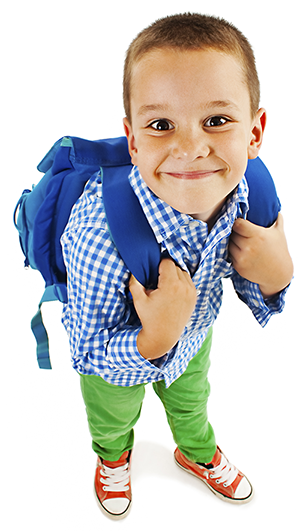 For the last six years, we have launched a large scale collection for new backpacks and school supplies for youth served at our agency. Families that are involved with services at FRE are of low income and not always able to provide well for their children. All donations are distributed to children at an annual event held in August at the Beardsley Zoo. Please consider donating backpacks, supplies, and gift cards; cash donations designated to the “school drive” are also welcome!